Participanti:AL-ASSAF S.,Badara George,Buna Z.,Comes R.,Curatu R.,Juganaru C.V.,Nicola Aurelian,Pelelunga C.,Popovici A.,Popovici M.I.,Stan S.,Stefan R.,Stoica-Marcu Floris-Andrei,Tanase L.,Teodorescu C.,Vacaroiu A.I. 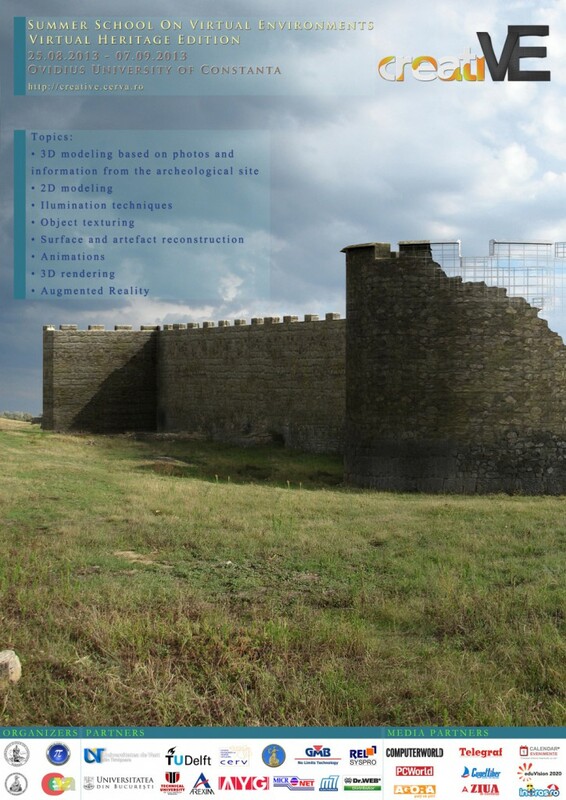 Become immersed into the amazing history of Scythia Minor, and celebrate the victory through third millennium technology through the three-dimensional reconstruction of the Roman castrum situated at the Capidava archaeological site and its surroundings. For more information, please visit the creatiVE 2013 website.